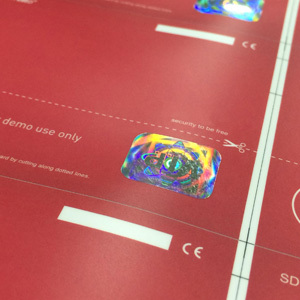 HSM is designed for application of holograms and signature panel on card production. Patented design & High quality. 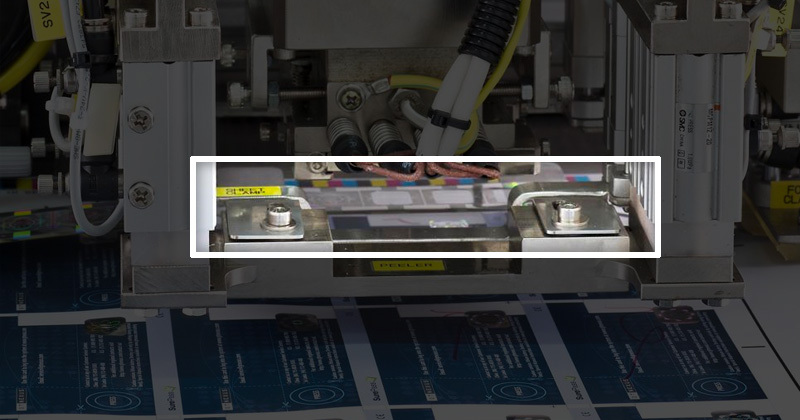 The patented stamping mechanism designed to ensure the integrity of the stamping, flatness, high accuracy. HSM is designed for application of holograms and signature panel on card production, high capacity and stamping in smooth surface are the primary elements of this machine. Production of 6,000 cards per hour. 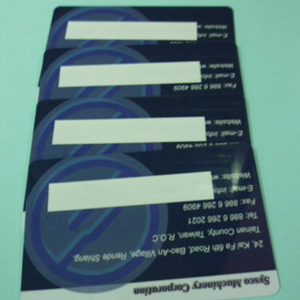 Interchangeable stacking magazines holding up to 450 cards with a thickness of 0.8mm. Single magazine in the card input station and the card collection station. Hot stamping station driven by servo motor. Micro adjusting of hot stamping depth. Changeable stamping head for various foil widths. 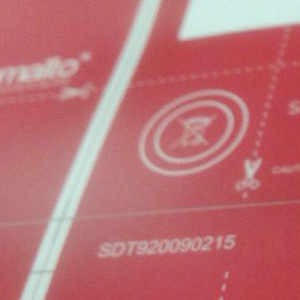 Adjustable hot stamping temperature depending on the foil size and card type. 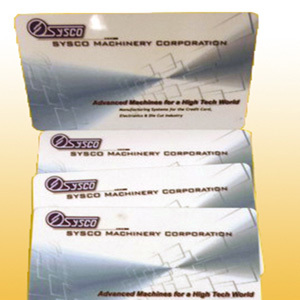 The hot stamping head is able to stamp on different positions of the card by adjusting the X axes and Y axes. The material unwind and rewind are able to control foil material tension by brake devices for precise positioning. 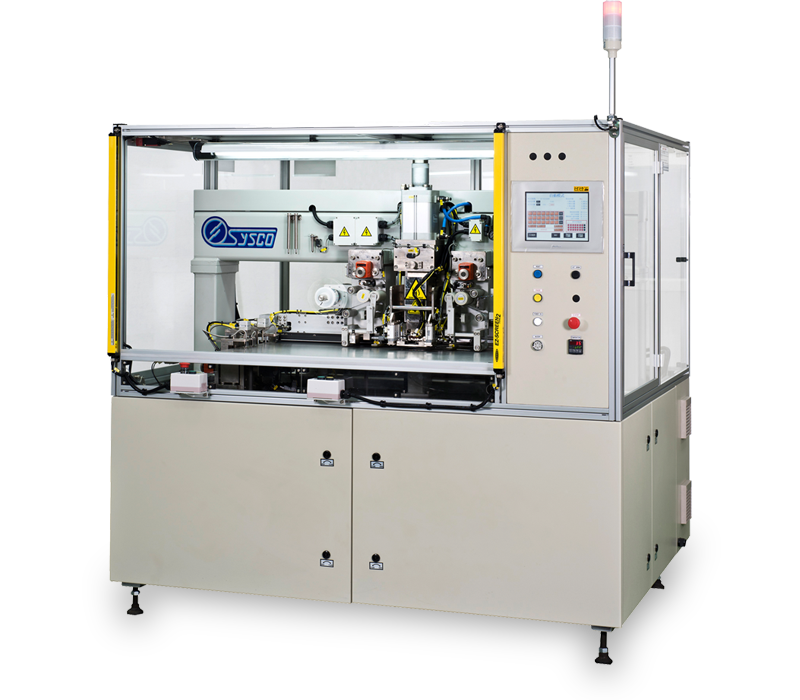 The machine is equipped as standard with a control unit that offers precise registration of single image holograms and ensuring low scrap rates. 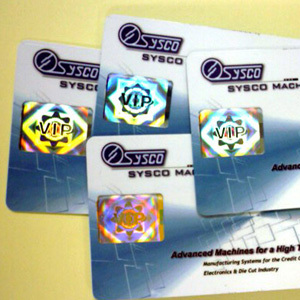 2-station stamping mechanism and flip card institutions, which can complete the stamping in positive and negative side of laser tag and signature strip at one time.